Orders may have miscellaneous documents that go along with them, i.e. release forms, gate passes, etc. The ability to attach documents to the order and send them altogether to a driver's mobile app comes in very handy. 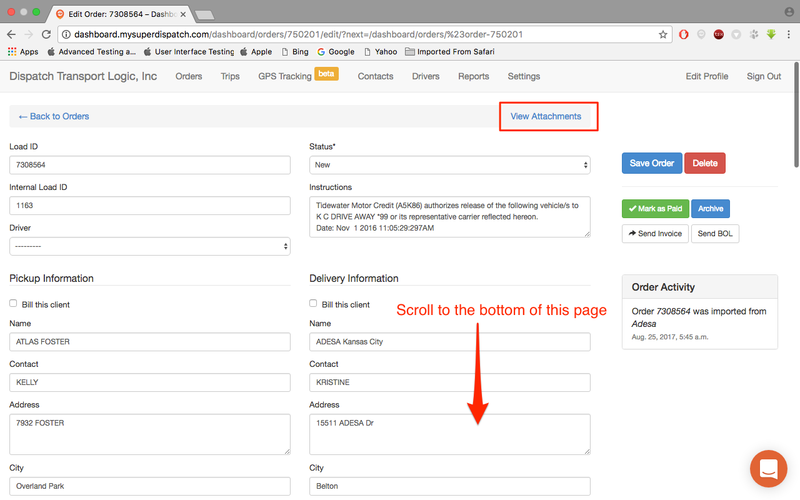 From the Orders page, click on Edit on the order that you would like to attach additional documents to. 2. Scroll to the bottom of the "Edit Order" page or click on View Attachments link. 3. Under Attachments section, click on the green "Choose File..." button. 4. In the pop-up window that show up, choose the file that you'd like to attach to the order. And click on Open. Note: Make sure that you do not have Pop-up Blockers enabled in your browser. 5. 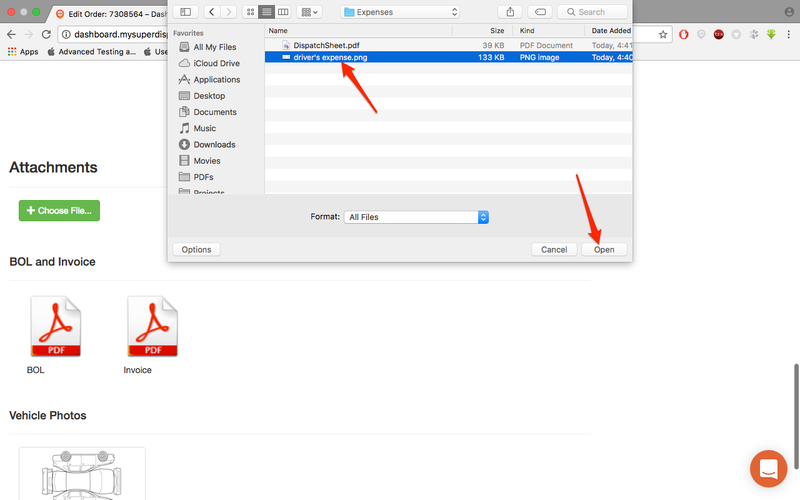 Click on the Upload button next to the file name that appears. Now, when you Assign this load to a Driver, the attachment will be sent to them as part of the Order. They will be able to view it by scrolling to the very bottom of the Order Info screen on their Super Dispatch app, under Attachments. Note: you can attach any file to the dashboard anytime (exept large video files). If you attach an attachment to an order that already Picked Up or Delivered, the Super Dispatch app needs to be refreshed by the driver to show the attachments. And attachments can be added to an order by the driver as well.